Joining a game in another region will automatically swap you to that region. Started setup for allowing other join methods i.e Discord. 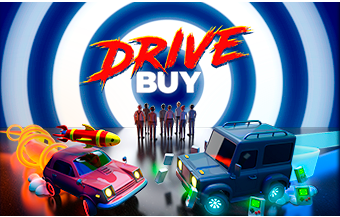 The latest Drive Buy build is available now on Steam. 250 new keys have dropped, see you in the game over the weekend! Still not got yours? Make sure you’re on the list at DriveBuyGame.com and we’ll be dropped more keys next week. Show your support: Wishlist Drive Buy on Steam, join Glitchers on Discord and follow Drive Buy development progress on the Glitchers dev blog. Share this insider knowledge with your friends on social media and invite them to sign-up for the BETA. Stay tuned for more details on our Discord and Twitter. More questions? Give our FAQ a read!